It’s safe to say I’ve read a lot of books. Some are great, some are less than, but invariably there are stories that stick with me long after I’ve put them down. It’s not always about being the best, but the following ten titles are works that left a lasting impression on me over the years. This was the first book to ever have such a notable effect me. 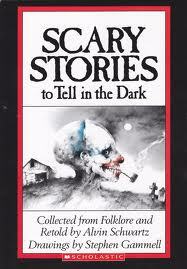 Simply put, I was absolutely terrified by these tales. My grade three teacher read it to us in class, showing us the illustrations in between stories (the unbelievably creepy art of Stephen Gammell). Never in my young life had I been read anything that was so frightening and unnerving. I could feel fear eating at me, the discomfort creeping up my spine as I tried to digest horrors I’d never been presented before. This was the first time I’d ever experienced a book that made me sweat and squirm and hold my breath. When I was thirteen, IT was the first book I ever bought for myself with my own money. I took my allowance to a local church sale and found a used copy in a pile of paperbacks. Something about it called to me. Much to my surprise, my mother let me buy it. Looking back, I can see the book’s magnetism was an invitation to start down the path I’m on now. The novel was so adult, so scary, so beyond what I was used to reading. I’m a slow reader, and was even slower at that age. IT took me over six months to read, and all the while I felt like I was slipping into a long relationship with the characters and story. When it finally ended, I felt empty inside and was upset to see it all go. I began filling the void with more books. I discovered Cormac McCarthy in a creative writing class during my first year of university, and was undoubtedly the best thing I got out of the entire course. Up until that point, I’d never read a writer like Cormac. I found his prose an absolute nightmare to navigate, but I simply could not put the book down. The imagery and bleakness was as fresh as it was disconcerting. It was the one of very few books I read as an adult that actually shocked and moved me in equal amounts. The character of The Judge was unlike anything I’d ever come across. This is a damn-near perfect book and Benioff is a damn-near perfect storyteller. That’s pretty much all you need to know. Set in Leningrad during WWII, the novel is a hard look at the best and worst of humanity, often hilarious and harrowing at the same time. To say any more would be to give it away, but City Of Thieves should be required reading for every fan of fiction. I couldn’t recommend it enough. I don’t know what it is about this novel, but there must be some kind of magic weaved into the pages. The book is made up of three different novellas (past, present, and future) that are separated by time. They stand alone as individual stories, but are also connected through plot devices and the poetic works of Walt Whitman. 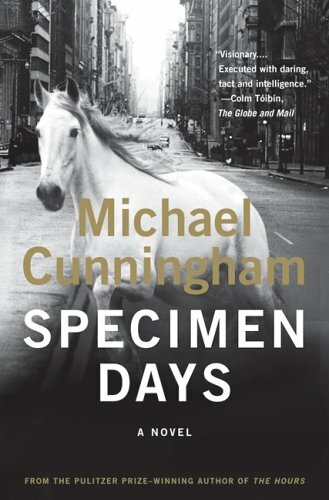 Part literary, part thriller, and part history, Specimen Days covers a lot of ground. I’ve reread this book several times now and found it just as engaging and transformative as the first time. Cunningham’s prose and ideas play on my mind long after I put the book down. Hannibal Lecter will stand as one of the greatest villains of all time, and it is all thanks to this book. This most recognizable novel from Harris is a modern commercial classic, and for good reason. The Silence of the Lambs is a thriller done all kinds of right, setting the bar high for other authors of the genre. A hard novel to forget. I’m going to get some eye-rolls for this one, no doubt, but I found this to be a sweet little story that was the complete opposite of the usual gritty kinds of material I generally seek out and enjoy. The heart and soul present within the pages really moved me at times, and I’ve always had a soft spot for love and loss and the mysteries of life. Albom’s book definitely had its moments, and those moments stuck with me for a good long while. I don’t have to be a tough guy all the time, and this book proved that. Strauss is probably best known for writing The Game, but this is the book that comes up in conversations rather frequently. 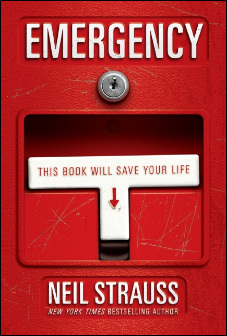 With the tagline “This book will save your life”, the very least it will do is get you thinking how you better prepare yourself against a statistically probable premature death during a catastrophe of some kind. A tough look at survivability during breakdowns of civility and society, this book opens your eyes to just how easily things might fall apart at any given time. The vast majority of us won’t be ready or equipped to handle a world gone wrong, but Strauss aims to change that. The things I learned from this book I still recount to others today. ‘The Delivery Man’ by Joe McGinniss Jr. I stumbled upon this gem completely by accident in a bookstore. I’d never heard of the book or the author before, but I was completely hooked upon reading the first few pages. The sharp, visceral story is set in Las Vegas and focuses on a character trapped between who he once was and who he wants to become. Disturbing and heartbreaking at times, McGinniss’s style and story are exactly what I want to get out of a novel. Whenever someone asks me to recommend a fantastic book written by a talented author that I personally love, I inevitably tell them about this one. 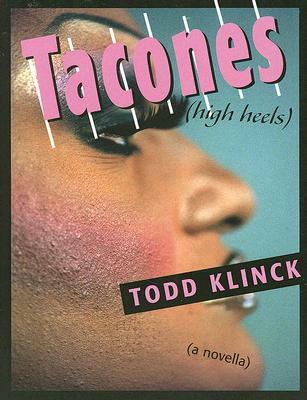 Winner of the 19th annual ‘3-Day Novel Contest’, Klinck’s Tacones is no horror novel, yet it might be one of the most frightening and effective things you’ll ever read. This short, but ambitious, book covers a wide spectrum of characters that come out to play long after the average person has gone to bed. It is dark, depressing, disconnected and delicious. Each of the stories has the ability to shock and awe you in different ways. They get you thinking, and probably about things you’d rather not want to consider. The most terrifying thing is when you eventually realize that this kind of so-called ‘fiction’ might just be happening a lot closer to home. by J. Kent Messum are released! Simply sign up through the form below. Don't worry, we promise not to spam you.